The UK consumer finance market is, in many ways, unique amongst European markets. This is primarily because the majority of adults in this country own their house, rather than renting it like their Continental neighbours. As a result, British consumers are saddled with considerably larger debts than those of many other countries. In fact, Britons are now in debt to the tune of around a trillion pounds. This is the much-publicised equivalent of the total national product of the world's 155 poorest countries. Our obsession with owning our own houses is to blame for a huge proportion of this extraordinary sum - 80% of all consumer debt in this country can be accounted for by mortgages. 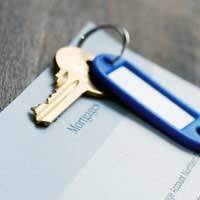 Prospective home-owners now find themselves in a position in which they can borrow many times their own annual wage, at comparatively low rates of interest. This often seems like an attractive prospect, a feeling which has been exacerbated by the rapid exponential rise in house prices. The British economy has been said to have been steadily improving for several years, outperforming its nearest competitors on most counts. However, the accuracy of this statement and, indeed, the stability of this growth, are debatable. And, yet again, our predilection for house ownership is to blame. The housing market has been increasing in strength for several years, and many home-owners have seen the value of their property increase by several hundred percent. As a result, consumer spending power has risen rapidly and Britons have been able to accumulate asset-based wealth (that is, wealth accounted for by items such as houses or cars, rather than actual cash) more quickly than during any time in the country's history. Strong house prices have also resulted, however, in low rates of interest, low inflation and low unemployment. While these are all, of course, beneficial to the economy, low interest rates in particular have resulted in a general increase in willingness to enter into debt. As a result, much of the new-found asset-based wealth could well be attributed not to a true increase in spending power, but rather to an increase in borrowing power. Many commentators deny that this represents actual economic growth. This rising reliance upon credit may also have future repercussions. The most pressing concern is a slump in the housing market. This would have drastic consequences for consumer borrowing power, as millions of people would find themselves suddenly much less asset-rich. This would rapidly reduce average consumer borrowing and spending, sparking a recession. All is not lost, however. As it stands, the state of collective British finance is strong. Real wages are gradually rising, and the influx of Eastern European migrants will, in a matter of years, mean that the number of consumers in the country will increase rapidly. This will in turn mean higher per capita wealth, and therefore more money being spent in the country. The importance of the housing market as a factor in the British economy should never, however, be under-estimated - while it has been responsible for strong growth, it could still prove to be a decisive, negative factor in the future.